Get the best clean, guaranteed! 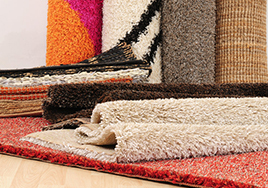 You can trust our eight-step carpet cleaning process will leave your carpets fresh, clean, and looking great. 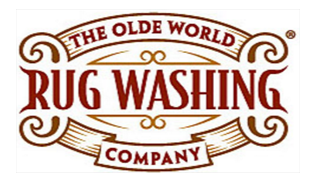 We provide in-plant rug washing for your Oriental and area rugs. 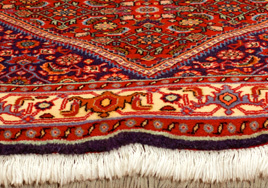 We have the expertise and facility to safely and throughly clean your precious area rugs. If you have dirty or dull tile and grout, we can remove the dirty quickly and much more effectively with our high-pressured hot water system to release and extract trapped dirt. 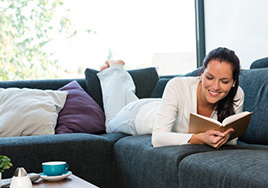 Our knowledgeable staff can safely clean various types of upholstered furniture, and will use the cleaning method best suited for the type of upholstery you have. We pledge that you will be satisfied that our work is complete and done to the highest professional standards. 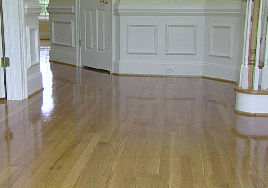 We will re-clean any area(s) that you feel that we did not do our best for free. If you are still not pleased, we will give you your money back for those area(s) and pay another company of your choice to re-clean them. We care about our performance. We provide a post-carpet cleaning inspection with you to make sure you’re satisfied with our work. If you have any questions, concerns, or ways to prevent further staining, don’t hesitate to have a discussion with our technician. We’re more than happy to help. 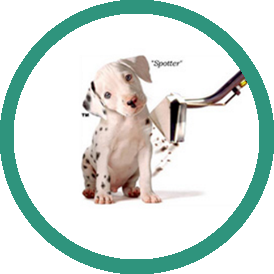 We assist in alleviating carpet allergies. 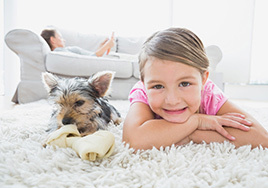 Our green allergen removal system will purify your carpet and improve your home’s air quality. Since we don’t use great amounts of water while cleaning like regular carpet cleaners, you don’t have to worry about the possibility of mold forming beneath your carpets. When you choose Professional Carpet Systems, you receive a professional clean without harsh chemicals that harm the environment. We are fully committed to green cleaning standards. We only use certified green cleaning products in our cleaning system. 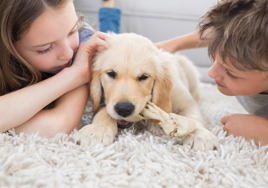 All of the solutions we use for cleaning are hypoallergenic and non-toxic for all environments, including homes with children and pets. The organic carpet cleaning blends we use are completely natural and applied by our experienced, certified cleaning technicians. Our products are gentle on fibers and tough on stains, so you get a professional clean without harsh chemicals that harm the environment. We are a local, family owned and operated franchise serving Eastern Long Island. We stand behind all our services with a no-risk, 200% guarantee. We are fully committed to providing the best service and the best results every time. Very professional & neat – did a fabulous thorough job, they were on time, took their time, which was much appreciated and took great pride in their work. The ease of making an appointment worked for me. They were prompt and extremely polite. Fairly priced. I’m very happy! After having had my carpets cleaned with other companies, this was the first time that my carpets looked like new. You did a fantastic job and it was a pleasure to have you in my home. You did a meticulous thorough job, I was very pleased! You carefully moved everything & then moved it back with coasters so as to prevent furniture from resting on still damp rugs. All stains were removed & you worked quietly & efficiently so as to not disturb the household. Excellent Job. Very conscientious work. Very quick estimate. An appointment the following week. Expertise of Mr Presant and follow through of everyone involved. Very competent, friendly and willing to give helpful tips. Prompt, very concerned to protect our furniture Etc. and does a thorough job. I wanted to have the grout on my floor cleaned and protected. It was well done. Wonderful service! They called 30 minutes before arrival and started the job (spot dyeing, stretching and carpet cleaning). Very clean, courteous and managed to make my carpets (8years old) look like new. I highly recommend PCS, they are honest, reasonably priced and do high quality work, Bravo! Bert was able to remove bleach stains that we thought that would never come out, you can’t even tell where they were after spot dyeing. We are very pleased with the results. For a modest investment we will get many more years of use out of carpeting that looked like it was ready to be replaced.